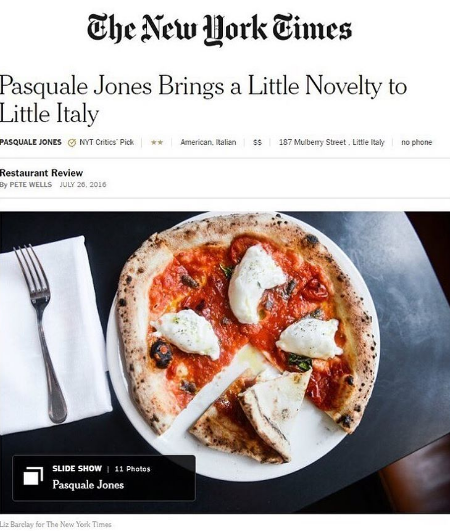 What stood out to Pete Wells of the NYTimes while he was reviewing the restaurant Pasquale Jones in NYC? Ryan Hardy’s spectacular cooking, yes. What else? The dried pasta. Bravo Chef Ryan! Your meticulous sourcing of ingredients makes you one of the best chefs in the USA. Thank you for making Italian food with real Italian ingredients.